Romania's ruling party has, literally, shown the middle finger to EU institutions as it prepares to take on the bloc's presidency next year. The obscene gesture was made in parliament on Wednesday (14 November) by Florin Iordache, the deputy speaker from the Social Democrat Party (PSD). 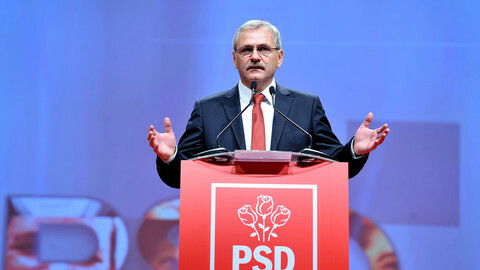 He did it after a speech denouncing the European Commission and the European Parliament over their criticism of Romanian judicial reforms, which, the EU executive indicated, resembled the same kind of political meddling in the judiciary as in Hungary and Poland, which are under EU sanctions procedures. The EU's "absurd requests" made by "some unknown experts" would "block the whole Romanian justice system" by forcing Bucharest to abrogate new laws on appointments of judges and prosecutors, Iordache also said in a written statement. He spoke after the EU commission said on Tuesday that Romania had "reversed" and "backtracked" on anti-corruption reforms in its most critical report in 11 years under a so-called 'Cooperation and Verification Mechanism' (CVM) on the EU country. The Romanian government risked "undermining structurally the independence of the judiciary and ... weakening the rule of law," MEPs said in a resolution the same day. Romania must also refrain from using a new EU data law to force investigative journalists to reveal their sources in an attack on free press, an EU commission spokesman said earlier on Monday. 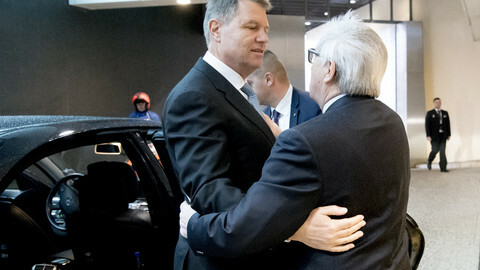 The barrage of criticism comes as Romania prepares to take over the EU presidency on 1 January. 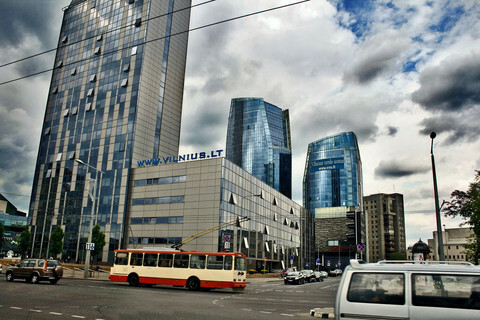 The country's president, Klaus Iohannis, has also accused the government of being unprepared to do the job, with Finland making preparations to take over if need be. But Iordachu's middle finger was just one among many hostile reactions to the EU's demands. The commission's recommendations were "revolting and disappointing", Romanian prime minister Viorica Dancila said. "I'm pro-European, I was an MEP for nine years, so nobody can accuse me of not wanting Romania to follow the European road, but at the same time, we must have the strength and dignity to defend our country," she said. Romania would treat the EU parliament complaint "with exactly the same respect as the Hungarian prime minister - I think that is a model to follow," PSD deputy Serban Nicolae said, after the Hungarian leader, Viktor Orban, heaped contempt on his EU critics in September. The Romanian government might sue the EU commission in the EU court in Luxembourg to annul the CVM report, PSD deputy Nicusor Halici added. "We are working on it and we need to see exactly what this entails," he told press. "We hope to get justice, justice for Romanians," Halici, who chairs the parliament's justice committee, said. That line of action showed that the PSD lacked a basic grasp of EU law, Calin Popescu Tariceanu, a liberal former Romanian prime minister, who now chairs the Romanian senate, noted. "The CVM report is not a judicial document. It contains recommendations, so it cannot be challenged in court," he said. Even he accused the EU of going too far, however. The CVM report was "completely unbalanced and does not reflect reality," he said. The backlash adds Romania to Hungary and Poland, in a group of rebels among member states who joined the EU after the fall of communism. 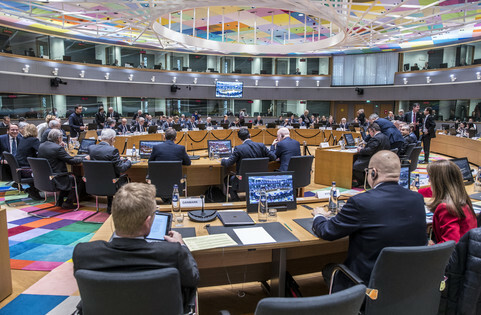 It comes ahead of European Parliament elections next year, in which populist parties threaten to form a eurosceptic league that could block EU law-making. It also comes amid a dip in EU popularity among the Romanian public, just 49 percent of whom supported EU membership in an EU commission poll last month, compared to 59 percent in April. 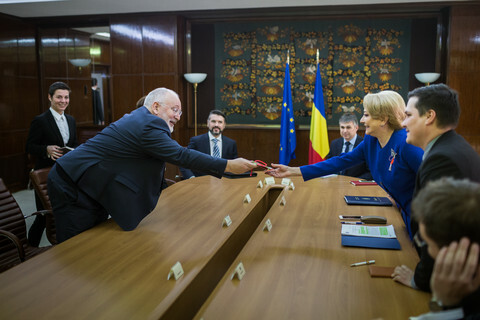 "It's surprising that a country that had so many benefits from the EU ... [would] kick all of these opportunities away," Corina Cretu, Romania's EU commissioner, who is in charge of regional funds, billions of euros of which have flowed to Bucharest since it joined in 2007, said on Wednesday. "I don't think anybody wants this and I'm sorry that the possibility that Romania would ever leave the EU has come, I don't know, out of nowhere. 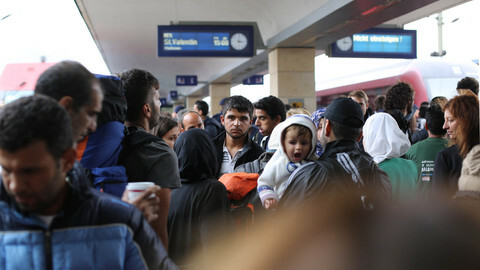 This, in my opinion, would be a national catastrophe," she told Romanian TV. She urged the PSD, to which she herself belongs, not to see the EU action as "a conspiracy, as if someone wanted to hurt us". "It is a result of what has been happening [in Romania] lately," Cretu said. Romania's data protection authority is headed by Ancuta Gianina Opre, who in 2017 was charged with abuse of office in her previous job. Last week, she threatened a €20m fine against journalists in their effort to uncover corruption. Romania will be unable to manage its EU presidency next year, the country's head of state has warned - prompting a backlash by the ruling party. A far-right Austrian minister will chair talks on sending migrants home with EU peers in Brussels, one day after a Romanian circus comes to town. 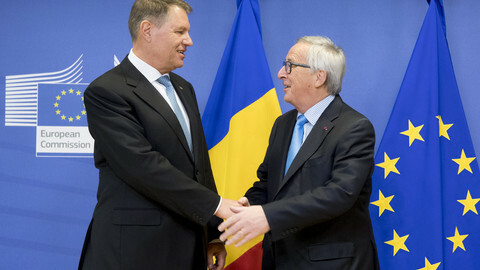 Romania will officially take over the EU's presidency this week, with commissioners and senior EU officials kicking off the testing next six-month period with meetings in Bucharest. With the country's de facto leader filing a lawsuit at the EU's top court over report accusing him of corruption, and concerns of the country's rule of law, Romania's EU presidency kicked off in Bucharest to a rocky start.